I’ve actually ran out of room on my cubes so this lot are now living on a shelf on my desk, my desk only has 4 shelves though so it’s not going to be long before I run out of room completely… I think I’m going to need a book room, or at least another shelving unit soon. The Fifth Letter – Nicola Moriarty, this is about a group of best friends, confessions and secrets. I’m really interested to read it. Understand Psychology – Dr Nicky Hayes this is one of those books from the Teach Yourself collection, I already bought a bookkeeping one from the same range a while ago and as I’ve said on here before, I do love psychology so I decided to get this one to read. In A Cottage In A Wood – Cass Green, this one definitely sounds pretty eerie and mysterious. The Longest Holiday – Paige Toon, another chick-lit book. I do love a bit of chick-lit! The Summer of Serendipity – Ali McNamara I’ve wanted to read this one for a while so I’m glad I’ve finally got round to getting it. This one is set around an intriguing house in Ireland. Lily and the Octopus – Steven Rowley, the cute dog on the cover really drew me to this book. Any Way You Want Me – Lucy Diamond – this book seems to have a ‘is the grass really greener on the other side?’ feel about it which intrigued me, do we always really want the life we dream of? Or is who we are just perfect enough. 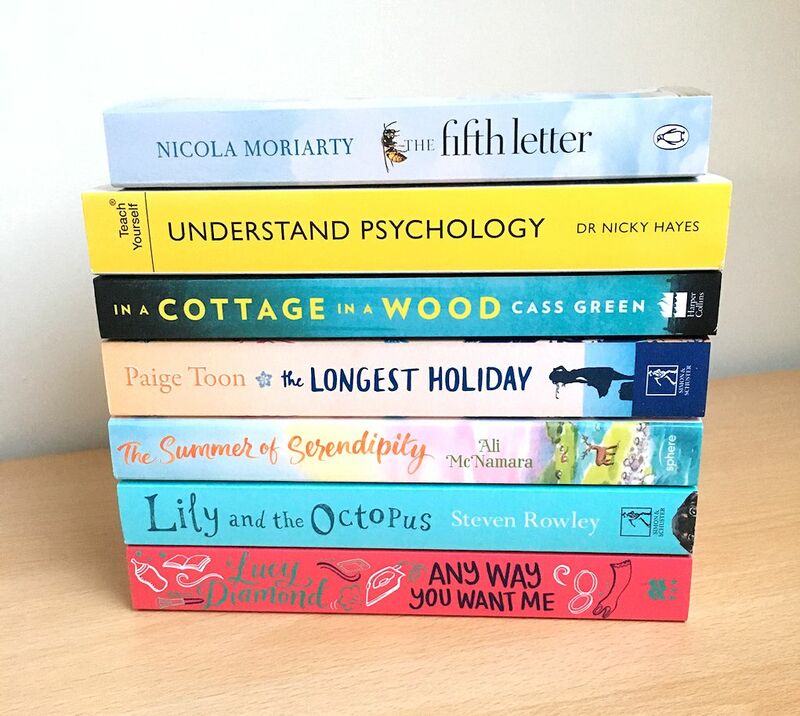 What books are on your to be read pile at the moment, have you read any of these before?